The Albany Café has built a reputation of excellence in food hygiene safety as well making a commitment to providing healthy menu options. The Albany Café has been awarded with the PASS from the Glasgow City Council Food Hygiene Information Scheme and Health Living Award. 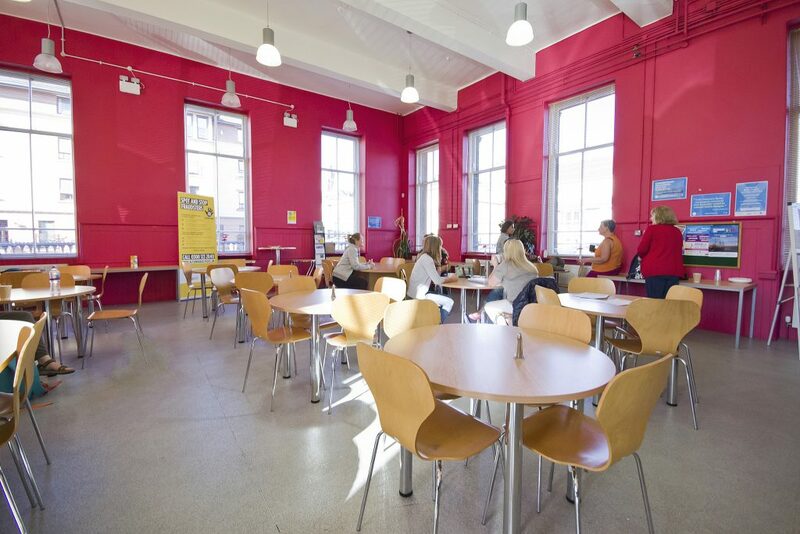 When you hold an event at The Albany Centre, the Café can provide on-site catering for your guests – we can cater to all dietary requirements and preferences, simply contact us to discuss these or for more information. Whether you’re looking for a simple sandwich or a delicious mixed buffet, we can work to suit any budget! The Albany Café is a great space to hold an informal meeting over a coffee. It can also be used to serve your catering for your event/training session. The Café provides a counter lunch service between 9am – 3pm, breakfast in the morning and tea/coffee/cake throughout the day – pop in for a cappuccino, hot roll or even smashed avocado on toast! Download the new Albany Café Menu! Our prices are highly competitive, and we will be happy to deliver either from our set menus or to work to your own specifications. We can cater to all dietary requirements including vegan and gluten free, plus all our chicken is certified Halal.